CastÂ AluminumÂ outdoorÂ furnitureÂ isÂ madeÂ usingÂ aÂ process,Â calledÂ casting,Â whereÂ moltenÂ aluminumÂ isÂ pouredÂ intoÂ aÂ mold.Â ThisÂ processÂ producesÂ theÂ mostÂ pureÂ andÂ resilientÂ aluminum.Â CastÂ AluminumÂ outdoorÂ furnitureÂ isÂ castÂ inÂ piecesÂ andÂ thenÂ weldedÂ together,Â whichÂ sealsÂ outÂ waterÂ andÂ theÂ elements.Â AsÂ castÂ aluminumÂ isÂ solid,Â theÂ resultingÂ productÂ isÂ muchÂ heavierÂ thanÂ wroughtÂ andÂ tubularÂ aluminumÂ furniture. 1. Both suitable for indoor & outdoor place. 3. High quality environment-friendly products. 4. Fashionable and functional design. 5. Best price with good quality and good service. 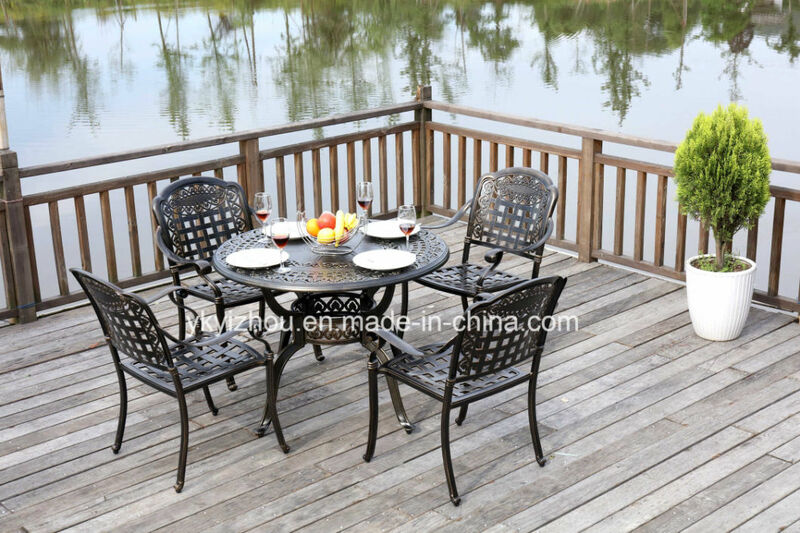 Â CastÂ AluminumÂ outdoorÂ furnitureÂ isÂ madeÂ usingÂ aÂ process,Â calledÂ casting,Â whereÂ moltenÂ aluminumÂ isÂ pouredÂ intoÂ aÂ mold.Â ThisÂ processÂ producesÂ theÂ mostÂ pureÂ andÂ resilientÂ aluminum.Â CastÂ AluminumÂ outdoorÂ furnitureÂ isÂ castÂ inÂ piecesÂ andÂ thenÂ weldedÂ together,Â whichÂ sealsÂ outÂ waterÂ andÂ theÂ elements.Â AsÂ castÂ aluminumÂ isÂ solid,Â theÂ resultingÂ productÂ isÂ muchÂ heavierÂ thanÂ wroughtÂ andÂ tubularÂ aluminumÂ furniture.